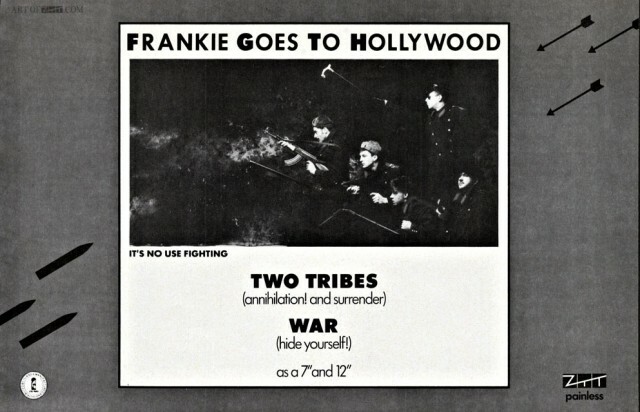 artist: Frankie Goes To Hollywood title: Two Tribes format: 1/2 pg advert for ? design: XLZTT photography: Eric Watson cat. no: ZTAS 3 date: ?/0?/84 art of notes: I’ve no idea where this ad originates from, maybe Beatbox or Jamming magazine but it has no info attached to identify its source. Please post a comment if you know the publication and month it featured in.